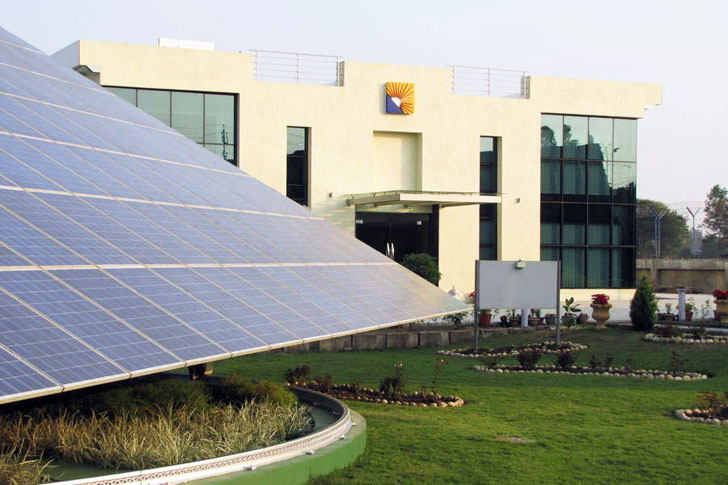 Located in the city of Bhopal, the SunCarrier Omega Building is the first net-zero energy building in India. The building features sun-tracking solar photovoltaic generators integrated with large capacity energy storage and management systems. The solar systems generate and store enough energy to fulfill the building’s electrical and air-conditioning needs. The design also incorporated daylighting to maximize the use of natural lighting; LED lighting and occupancy monitoring sensors. The building is completely off the grid, and it consumes no fossil fuels.